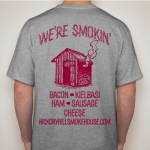 Welcome to Hickory Hill Smokehouse where everything is handcrafted and made in small batches using time-honored family recipes. 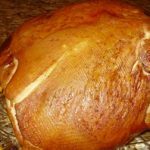 Thank you for visiting our website – we hope you will find the site easy to navigate, and enjoy the many pictures that highlight the various products we produce. Your feedback and special request are welcomed! 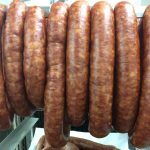 We are continually looking for new ideas and products to offer…please drop us a note or give us a call and remember to Like us on Facebook to get updates on what we’re makin’ next! 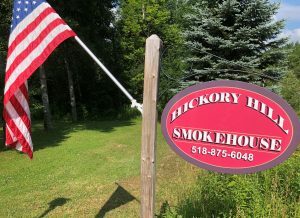 Hickory Hill Smokehouse is a small family business located off the “beaten path” in rural western Schenectady County, New York. 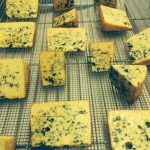 All of our products are handcrafted in small batches using old-fashioned family recipes and curing processes. 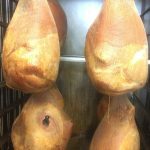 We only use the highest quality and freshest ingredients. 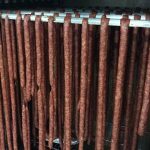 In addition to our strict quality monitoring and food safety standards, we undergo routine inspections by New York State. 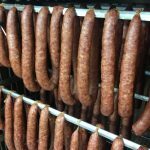 We utilize a state of the art commercial smokehouse, which helps ensure consistent quality products every time. 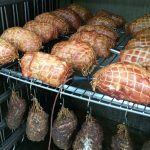 Crafting high quality, old-fashioned products since 2010! 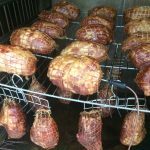 Featured Products… We also take request for special orders. 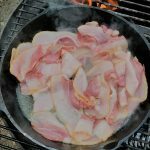 Bring in your favorite recipe! 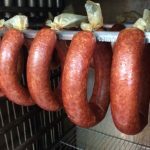 Immediately after production we vacuum seal our meat items, and blast freeze to maintain the highest quality and for easy transport. Not all products shown are available for shipping or in stock. 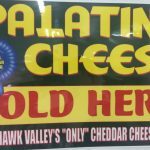 Please call ahead if you are looking for something in particular. 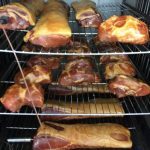 Smoked hand cut Boneless Pork Chops – just heat & serve! 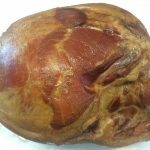 Smoked bacon thick-cut traditional wet-cured in brown sugar! 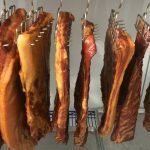 Smoked Pepper & Garlic Rubbed Bacon – this is simply amazing! 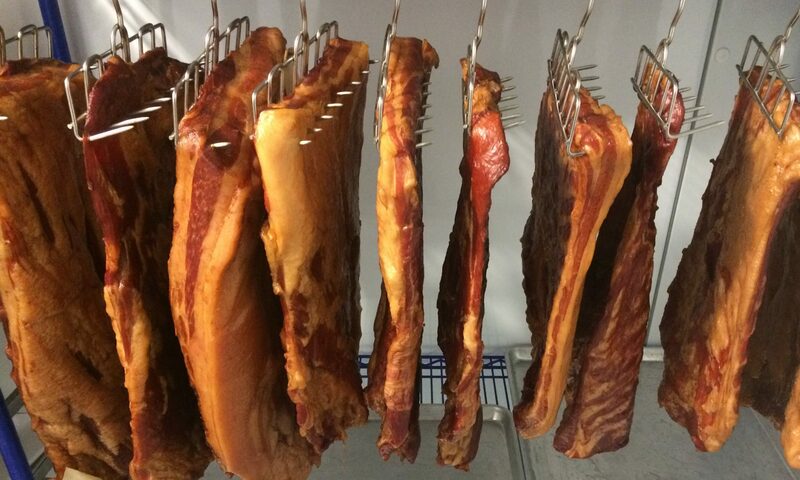 Dry-cured bacon, no water added, made the old-fashion way! Jalapeno snack sticks with cheddar, fully cooked – a new favorite! 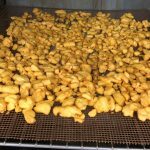 Pepperoni snack sticks with cheddar, fully cooked – very popular! 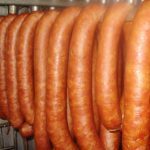 Kabanosy our famous Polish meat stick fully cooked – very traditional! 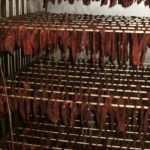 Beef Jerky – sliced only from Choice Eye Rounds & hickory smoked! 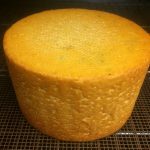 Local Palatine, NY cheeses – a variety flavors including jalapeno, bacon, super sharp cheddar, wild onion, garlic and more! 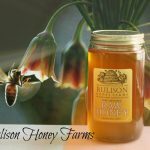 Raw Honey from Rulison honey farm – only the best! 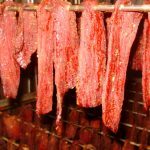 100% all Natural Local Beef (coming soon) – Boneless Prime Rib, NY Strip Steaks and blended ground burger meat! 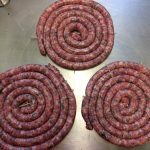 Fresh German Bratwurst links with fresh sweet onion – grill favorite! 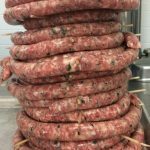 Our famous Cheese & Parsley Pork Pinwheel Sausage on skewers (pictured below) – this is the best grilling sausage stuffed into thin sheep’s casings! 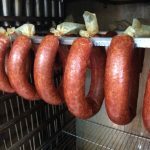 All products are vacuum packaged and labeled. If there is something you are looking for that is not listed, please call and we can probably get it for you! 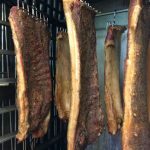 We only use all natural hickory wood chips for all of our smoking – no liquid smoke here! 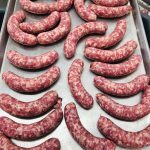 Please call 518.875.6048 to contact the smokehouse – if we don’t answer we’re probably smokin’, please leave a message and we promise to get back to you shortly. 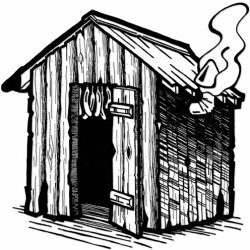 Just off the beaten path, we’re just a hop, skip and a jump from Route 20 or Route 30 depending on the direction you are coming from. We are 25 minutes west of Schenectady, NY and 20 south of Amsterdam, NY. 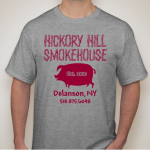 From the west, we are 25 minutes east of Cobleskill, NY. Route 20 to Knight Road (just before or just after the Citgo gas station depending on if you are traveling east or west) to a left onto Skyline Drive to a left onto Courtney Drive OR Route 30 to Herrick Road (look for an old red barn on corner) to (a left or right depending if you are traveling north or south on route 30) to a right onto Courtney Drive – look for the red sign behind the mailbox!